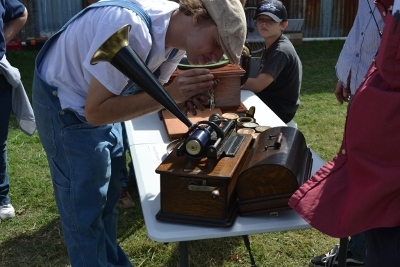 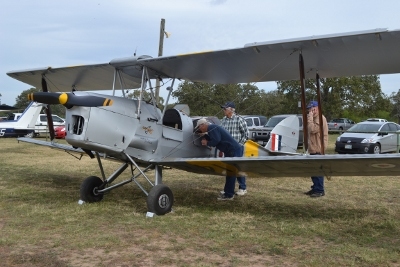 The Pioneer Flight Museum Fall Fly-in was held on Saturday, November 12, 2011. 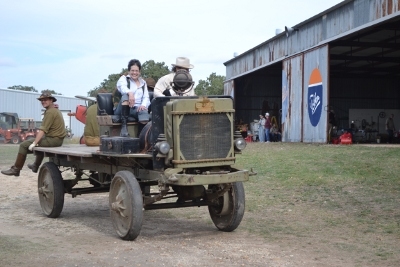 The weather was only partly cooperative - it was clear and warm, but windy. 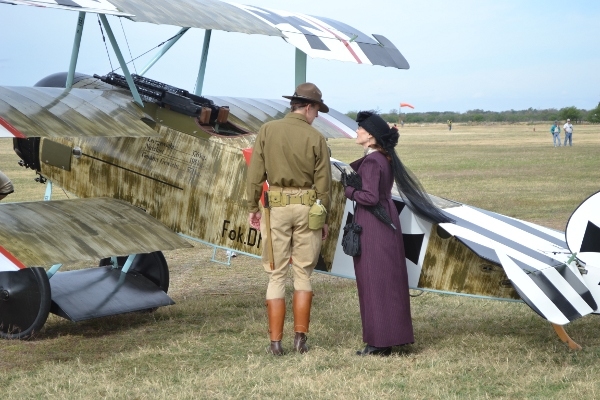 We had a good turnout of visitors, including some first-time aircraft and interesting cars. 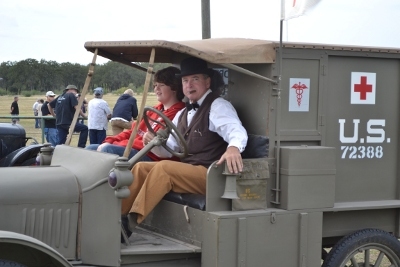 The PFM volunteers made a great showing with many dressed in period garb. 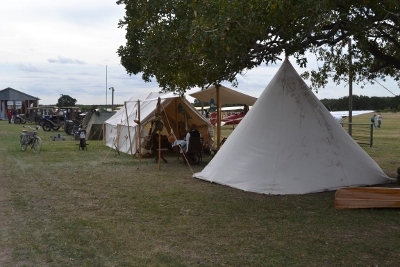 We also had groups of re-enactors in period uniforms and costume, including a nice encampment area. 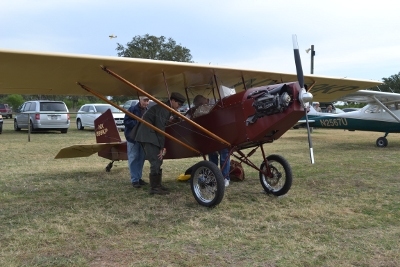 The Canuck was down for engine work, and it was too windy to fly the Fokker Dr.I, but we were able to run the Fokker's engine for the crowd a couple of times. 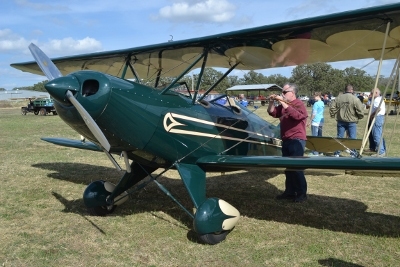 Steve Freeman flew his Ryan PT-22 a few times, and we also flew the Meyers OTW. 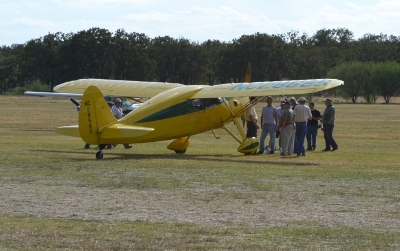 Various visitor airplanes were also kind enough to fly for a bit, including a DeHavilland Tiger Moth and some Stearmans. 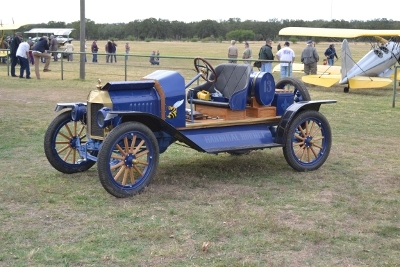 Team Vehicles had several Model Ts running, along with the Nash Quad and Triumph motorcycle. 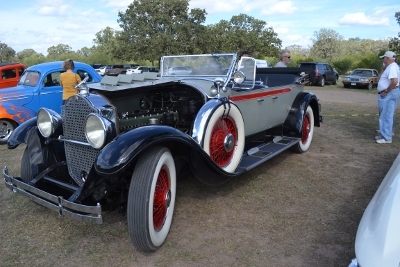 The Indian was started, but had clutch/transmission problems so didn't actually move under its own power. 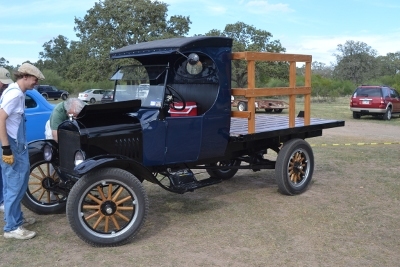 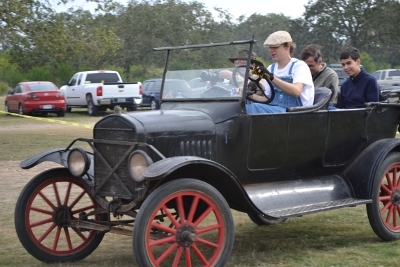 One of our volunteers had recently bought a Model T touring car and was happily giving rides to all who were interested.